The Drupal Association reports on some of the issues since the upgrade of Drupal.org to Drupal 7. DrupalCon Keynotes: We Want to Hear From You! The Drupal Association wants you to share your opinions on DrupalCon keynotes. This is a very interesting development and seems to signal to a higher commitment to Drupal.org as a platform for the community. Paul Johnson announces the Drupal social media request form. Basically, if you need to get the word out about something in Drupal land, now there’s a form to let the Drupal Association know. Do You Have The Critical Layers in Your Hosting Platform? Selecting a Cloud provider can be a big task! We’re here to lay out the facts so you can make the best decision for your organization. Acquia Cloud gives you the tools to build test and tune your web applications, all on the most reliable and secure platform. Download our Cloud Buyer’s Guide to learn why you need more than just a hosting infrastructure. Warning! Non-Drupal content ahead. This article by Bojan Živanović is worth reading if you want to venture outside of Drupal in a way that will profit you as a PHP developer. Good advice from CTI Digital on how to best approach a legacy Drupal site. A good article from BeFused on module organization best practices. Part 2 of this interesting series on multi-threaded Drush from Deeson Online. 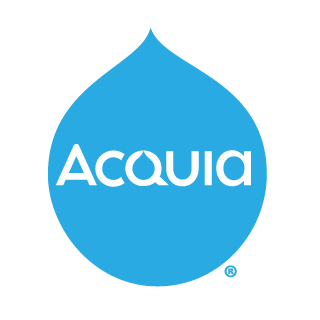 Over on the Acquia blog Chris Shattuck of BuildaModule.com shares why he thinks we should all be excited about Drupal 8. I took some time this weekend and watched several of his new Drupal 8 videos and they are quite good. A proposal to move the Drupal 8 docs to api.drupal.org via a separate git repository. This green board will allow the community to track regressions in accessibility during the run up to Drupal 8’s release. Great work from my friends at Cal State Monterey Bay and Acquia. A great list of Drupal 8 resources. This week Alex Bronstein updates us on what has happened in the past week. Progress in documenting Drupal 8 APIs, Assetic compatibility, and Drupal 8 alpha5 targeted for November 18th. Nice tutorial from Danny Englander. I use this method a lot myself. Follow the Drupal Association’s two new Twitter accounts, @DrupalConEur and @DrupalConNA. Netstudio announces two new translation modules. Entity Translation Export/Import and Node Translation XML sitemap. Zivtech’s David Hamme has a great list of modules that don’t get mentioned often enough. Be sure to check out this list. Derek DeRaps introduces us to Workflow Tools in his session from DrupalCamp Atlanta.